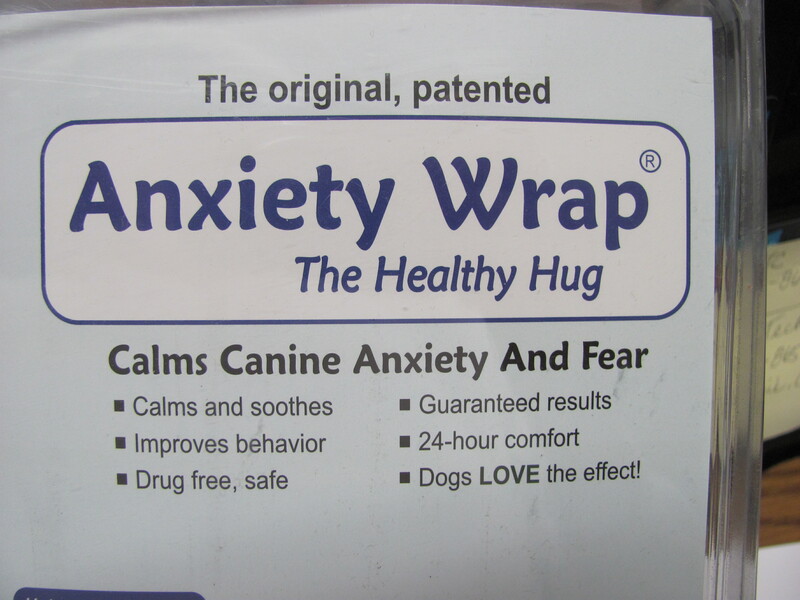 Offered by PapHaven as a safety item for our beloved companion pets. NEW... Beautiful Hawaiian Colors in size 14 & 16 in waist ONLY (also padded) from Merlin's Magic Balls artist.... just for the Holidays! State color preference First & Second. Belly Bands are used to help your pet as a house training aid or help with the dog that may become incontinent because of health reasons or old age. When measuring for your new Belly Band, use a tape measure loosely around the small of the waist - loose enough to place 2 fingers in the space. To order Belly Band, first measure around the small of the waist of your doggie (the area needed to be covered) and include it with your order. 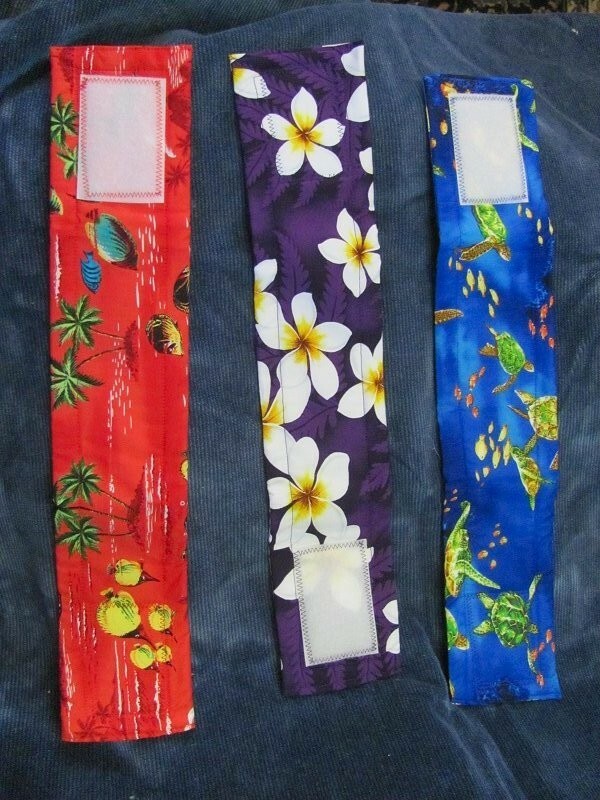 Belly Bands are measured in inches BETWEEN the velcro fastners. The fabric with the correct measurement will be your Belly Band. 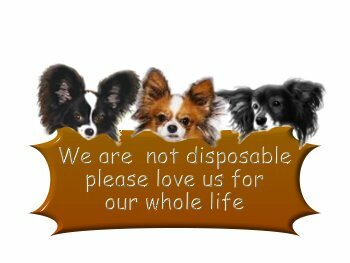 Copyright © 20167-2018 Papillon Haven Rescue All Rights Reserved. 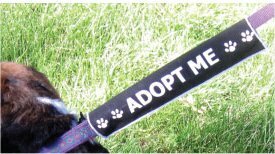 Each leash sleeve is about 11 inches long and printed on both sides of the sleeve. 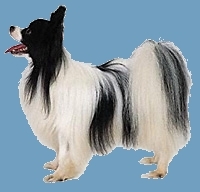 They are 2 inches wide and will slip over most leashes easily. 100% Cotton. 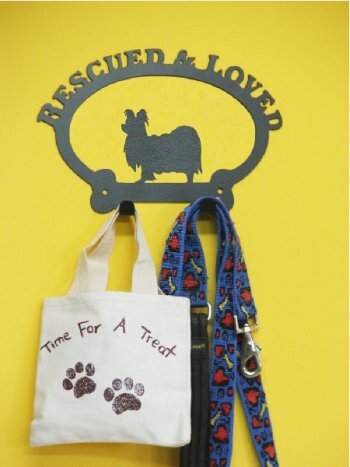 * The perfect gift for all pet lovers, including yourself. A wonderful remembrance of a loved one. Hang or lay in a Place of Honor or during the Holiday Season, decorate your tree year after year with a one-of-a-kind ornament made with the help of your pet. 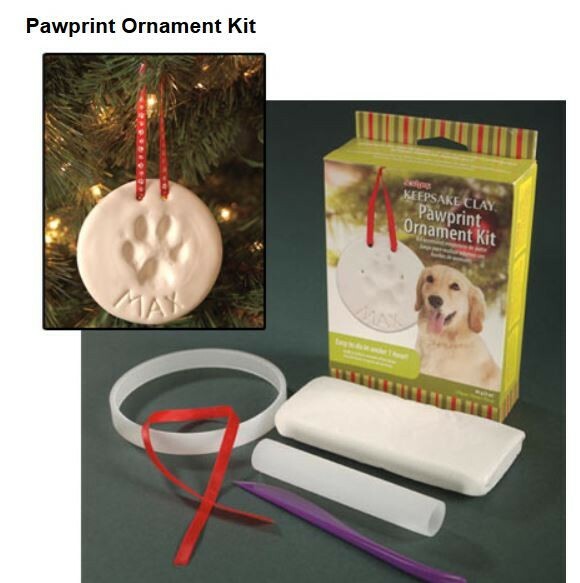 Simply mold the included clay into your desired shape, press your pet's paw into the clay, bake at 275º for 30 minutes, and enjoy the fruits of your creativity. 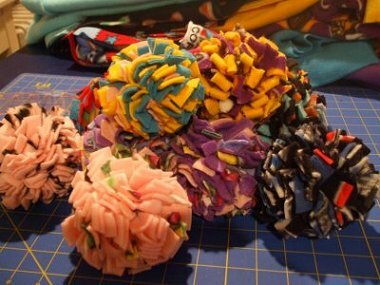 A great gift for family, friends, or yourself; give the kit itself, or give a finished ornament! Kit contains clay, roller, ribbon, modeling tool, instructions, and shaping ring. Nontoxic, and suitable for children ages 8 and up. Doggie Dungarees Dog Diapers are designed for male or female dogs that are incontinent, or for pets that experience excitable urination. 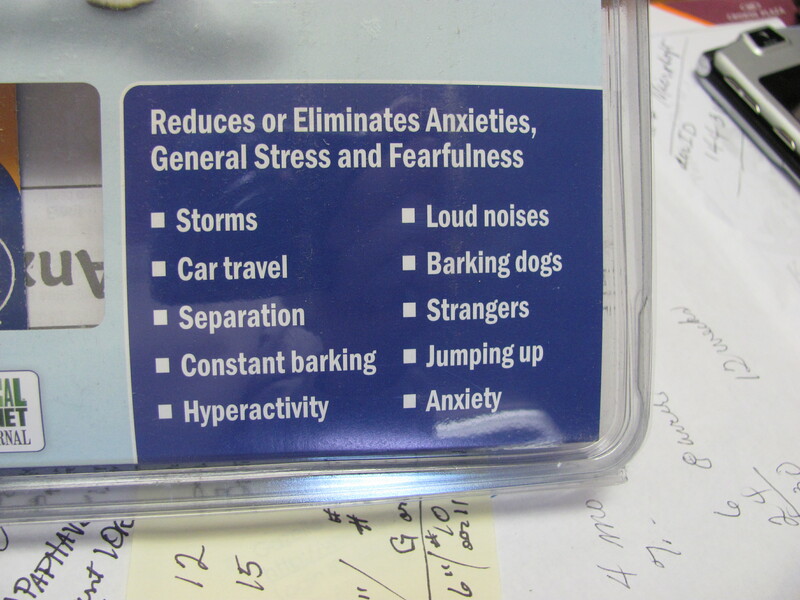 They are also great for housebreaking puppies, or for female dogs in heat. They even work for cats! Each diaper is made of durable, soft, cotton denim, similar to the material in blue jeans. 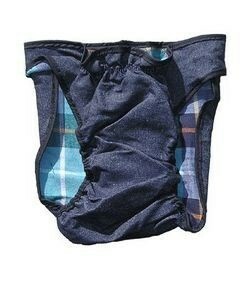 They are lined with a soft plaid flannel fabric for added comfort and a mesh liner that can hold an absorbent liner for protection against a heavier flow of liquid or waste. For light seasonal flow or minor excitable urination, the garments may be used alone, or in conjunction with the absorbent liners. They're machine washable, too! Simply slip the hole of the garment over your pet's tail, positioning the liner between the back legs and snug against the underside of your pet. 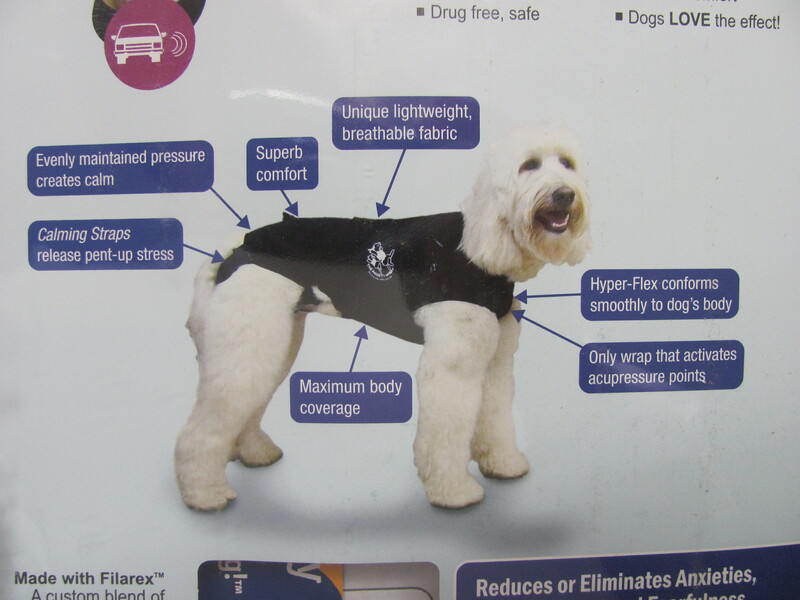 Bring the adjustable Velcro wings up toward your pet's back and position for a secure fit. For light seasonal flow or minor excitable urination, the garment may be used alone. For heavy seasonal flow or more serious cases of excitable urination, attach a Dog Diaper Garment Pad to the mesh liner underneath the diaper tail hole. size S will fit around 10lbs.